Widowed mother Hannah St. James didn't expect to meet her next employer by crashing into his new Mercedes. But she's in no financial shape to pass up the position that workaholic businessman Tyler Matthews offers: live-in caregiver to his grandmother. Hannah adores caring for feisty Lily, and her son's new room is every boy's dream. But her handsome boss hides his guarded heart behind ledgers and meetings. 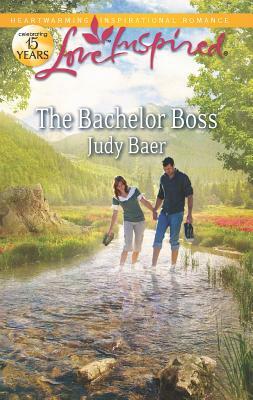 Underneath Tyler's tycoon exterior is a tender side that stirs her heart and hopes again. It'll take Hannah, an adorable little boy and one determined elderly woman to show him that family always provides the best care. Now, about this book: To be quite frank and honest, it felt like a teenager was writing it. It felt like she wrote the story through but never went back and re-read it to make sure it all made sense. There are a number of contradictions. Hannah was going to follow Ty to his house, then they were in the car together, then she had her car. She called her sister to tell her she'd be over, then when she shows up, she was unexpected. It was a Saturday, then suddenly it was Monday (the same day). I felt like a lot of the story was disjointed. The story about her sister and her spending habits seemed to have been thrown in there. I think the last part of the book got a bit better, but I was just in the state of confusion a lot...Oh, and I could NOT stand the grandmother! She acted like a spoiled three year old who needed a good old-fashioned spanking!!! And nobody tried to change this or stop enabling her to be this way??? I'm disappointed, because I really liked the story idea and the picture. Some of the plot held my interest, so I gave it three stars.